Jean-Luc Vallens is a French national with legal expertise in the field of insolvency and commercial matters. He is doctor in law of University of Paris; he has teached insolvency law as an Associate Professor at the University of Strasbourg and the University of Paris. Jean-Luc is also a trainer in the French National School for judges and in the School for lawyers in Strasbourg. 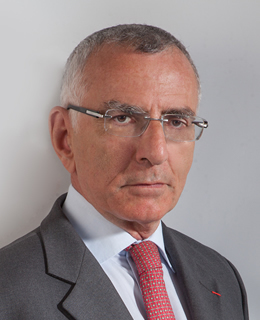 Jean-Luc has been involved as a judge in judicial insolvency cases during more than 30 years and has been the French expert with EU for negotiating the Brussels convention of 1995 (enacted later into the EIR n° 1346/2000 of 29 May 2000). During the last 20 years, he has been a French government expert with UNCITRAL, namely for drafting the Model Law on Cross Border Insolvency (1997) and the Legislative Guide on Insolvency (2004) and its specific part on groups (2010). He has been also expert with EU for best practices insolvency proceedings and member of the experts’ group held in Brussels for the revision of the EIR on insolvency proceedings. He is author of two books on comparative laws in the field of insolvency in 2011 and 2015 and author of many articles and a part of a collective book on commercial matters (Wolters Kluwer). Jean-Luc is a fellow of the American College of Bankruptcy, and a member of INSOL and the International Insolvency Institute.